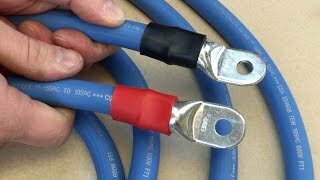 Wire Ferrules - BEST Amp Connection - WHEN TO CRIMP!? Wire ferrules are a thin copper tube that is tin plated and they really help to clean up our car audio installs and make them more robust. With a wire ferrule we can prevent wires from fraying, we can easily un-install and re-install the wire multiple times without issue, and the wire ferrule securely attaches to the wire in our amplifier or processor. But when do we crimp ferrules and when can we use the amp terminal to crimp them with the set screw? 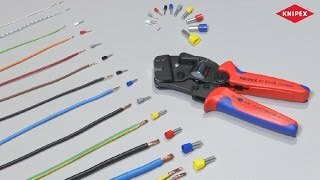 What ferrule crimper works well? Let's find out! 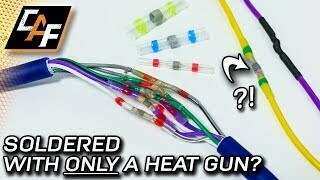 Could you fill the wire with solder instead of using a ferrule? In theory, wouldn't it be accomplishing the same thing? Sort of grouping the strands together and giving the amp set screw something to bite into effectively? 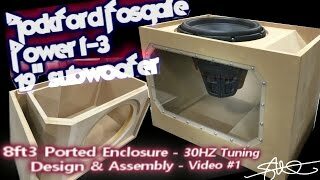 Could you use these for speaker wire to wire subs in there push terminals for wiring 2 subs together ? This seems a lot easier than using solder on the ends of the wire to hold the strands together. I've only ever seen the square terminals on Audio Control. Does anybody know who else uses square terminal. Paul Weston I feel ferrules have a place for larger diameter wire that I normally don’t solder. For smaller wire such as the remote wire, etc. that you mentioned, I typically solder completely (not just the end) so that I don’t have to worry about damaging strands. +Eliseo Bundoc True. I was thinking more along the lines of justifying getting a square ferrule crimper. 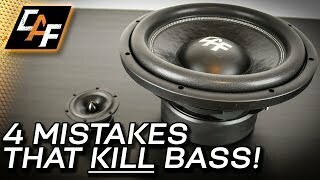 iMo I don't think there is any need for it in car audio. 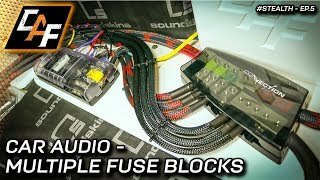 Audison does use em for high level speaker inputs, or for +/-/rem inputs on non amp models. 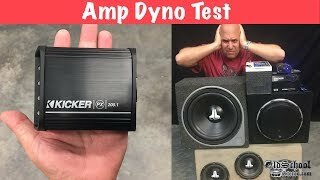 Mark was saying a lot of car audio companies are starting to use these but I really haven't seen any at all beside Audiocontrol and still its only for the low level stuff like my epicenter. Just thinking why he'd promote an item in such a way as to tell his viewers that they should get one. Audison BitOne uses square terminals for speaker input, etc. 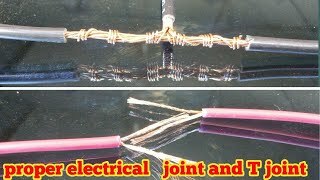 just MELT a little bit of soldier wire on the tip of the wire to make it hard and THEN insert the wire into the hole and tight the screw. 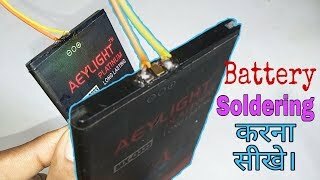 Solder doesn't compress and take the shape of the terminal. Awesome as always Mark, thank you! 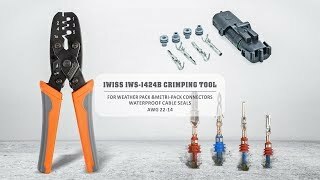 I just ordered some 4 gauge, as well as the tool/set of smaller sizes!👍. The timing couldn't have been better for me to see this video, as I am finally getting into the rebuild of my previous championship Cobra. Wire ferrules are used on industrial equipment with far more power and in far more wild conditions. They secure far better than bare wire. Oh you wouldn't? Let's hear your explanation for why. I discovered these a couple of years ago and used them on my last stereo install. Did it old school and these helped make the connections much more secure and cleaner looking. 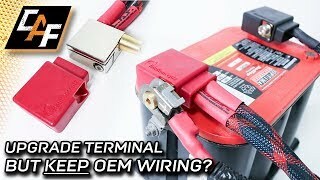 I enjoy Steve Mead's videos and am surprised I've never seen him use them, with his overkill wiring, you'd think he'd like a good connection at his wiring blocks. Just to add a little to the discussion, i am a sparky so i can give some info. Ferrules are very common in electricity job, for stranded wiring. The compression of the ferrule tip basically expel all air to get as close as a solid end to the connection. Since it become "solid" it's less of a hot spot, the strand also are protected inside from oxidation and finally the main point by far: the pressure of the screw or mechanism is spread over a large area. It's very common to find ferrule on vibrating equipment, like mobile machinery. Over time the screw/terminal/etc will destroy the connection one strand at a time and cause many intermittent problems once anything left is a few tiny strand of copper hair floating inside the connector. Ferrules are usually preferred from solder because the solder is still softer and the screw will still dig into the strands. 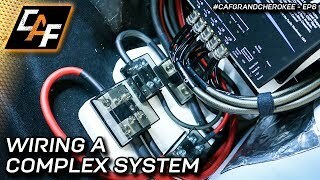 The best system have ferrules wiring and spring-loaded terminals that you never have to tighten over time. Since you want the best compression possible, a dot is cheap, square is basic, hexagon is superior and finally a hydraulic round press is ultimate; the price of those tools will reflect that. 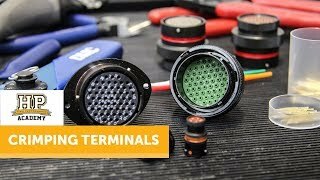 You can have "double" ferrule, meaning you can crimp 2 wires together for one terminal. The colour for them isn't standard from across all companies, so check the size and don't buy blindly by ferrules colours. that's great. If you want to write an essay go somewhere else. This video already explained everything before you came along. That's great. If you want to write an essay go somewhere else. 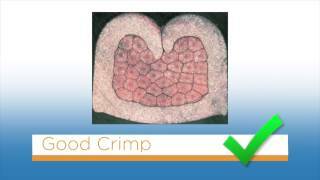 This video gave us enough info before you came along. The crimpers are also made to make a hex shape rather than a square. The work better on the round "sockets'" (or holes) instead of using the lug to crimp the ferrules. I've had issues with my alpine pdx f6 4channel amp the wires always get loose on the speaker connections would this terminals help? What do you suggest in this particular amp? Outstanding work! I've been an electrician for 40 years in many different forms. I'm an FAA A&P mechanic and hold an FCC GROL to service avionics. I've designing and installed home and automotive security systems. I've worked commercial and residential electrical work. Both high and low voltage systems. I've repaired autopilots inflight. Several times. And I'm happy to say I've learned several new techniques here. Really cool.... Thank you! 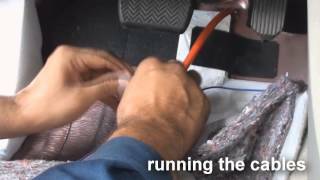 Or dont let a newb wire up your amp. 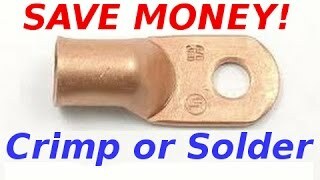 Could just drop some solder in the end of you Wana save cost but this awesome too !! I kind of prefer soldering it. I alligator spin my wire till all strands are inside. I’m super picky about wires straying off. 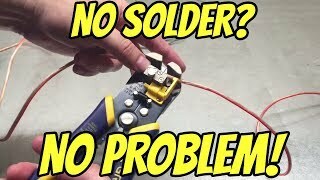 Why not just put solder on the wire so it's solid? 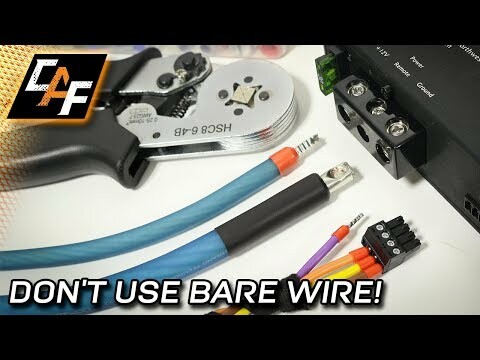 Not everyone is confident about soldering 0 awg wire. I never bothered with solder or ferrules on my amplifier power wires. Those wires are connected and disconnected maybe a couple times during a year. 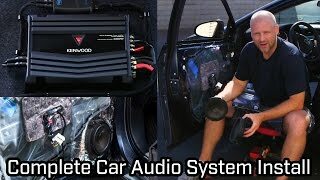 I soldered on Deans connectors on the main speaker wires for the subwoofer so it's easy to connect and disconnect so I can easily take the box in and out of the car. 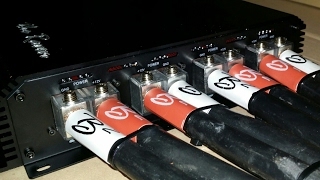 Deans connectors are rated for up to 60 amps, more than enough to carry the current that goes through the subwoofer speaker wires. Great video. I need to add these to the wires going to my Pioneer Amp in my truck. 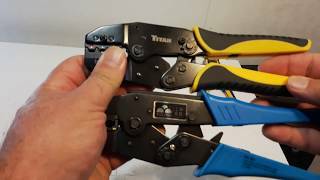 Hilitchi vs Titan Ratcheting Terminal Crimpers Review.